I've not seen Rogue One or Series 3 of Rebels yet. Given that they are operating in broadly similar time frames there is a possibility of crossover between them. Specifically, is there anything that originated in Rebels that made it into Rogue one? Even if it is an Easter egg for the really observant/obsessive people. Some have reported that Chopper can be seen on Yavin base (I cannot verify this one personally). (Possibly) The Hammerhead corvette that rammed the Star Destroyer at Scarif was first introduced to the new canon in Rebels (but there it was itself a reference to the Old Republic games, rather than being a Rebels original). 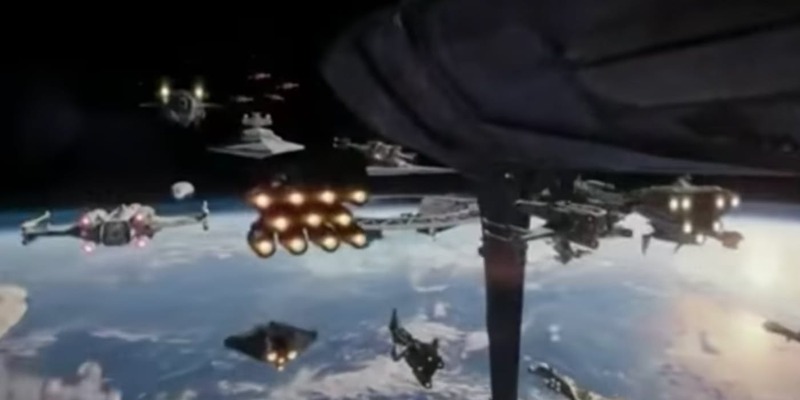 Chopper appears in the scene where one of the Yavin listeners realizes Rogue One has engaged the Imperials on Scarif (Link to the scene directly). As he is stopped by the General, Chopper can be seen briefly on the left side. Yes in addition to the answers above, one character is set to appear in Rebels Season 3 when it returns in January. They (the Ghost crew) go to Geonosis, Battle droids are set to appear in these episodes. From the Rogue One Visual Guide/Dictionary explains that Saw's lungs are filled with Geonosian insecticide. Hence the breathing apparatus. Not the answer you're looking for? Browse other questions tagged star-wars star-wars-rebels rogue-one or ask your own question. 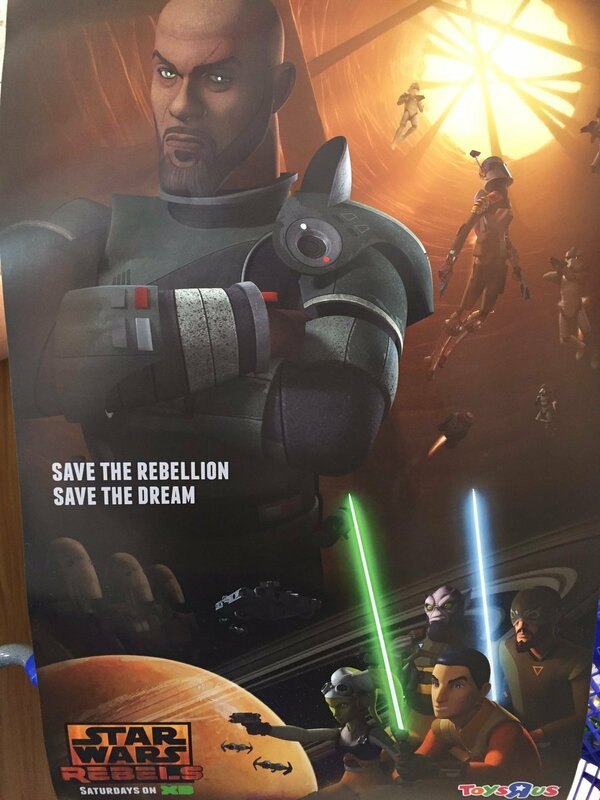 Star Wars Rebels Season 2 Continuing? What is this picture in Thrawn's study of?